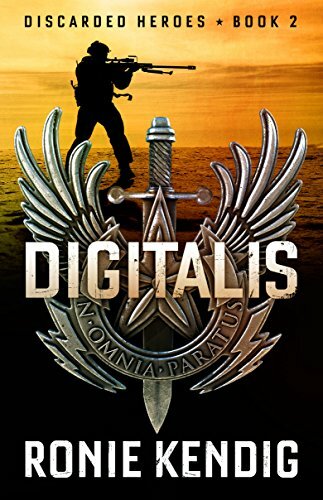 DIGITALIS is book #2 in the Discarded Heroes Series, and made me come to some conclusions about Ronie Kendig and her stories. First, she writes the best heroes ever!!! Second, she cannot write a bad story. She is consistently awesome. Every story I have read of hers sits on my keeper shelf. You will also have a major book hangover when you are finished with one of her stories. Third, she writes team camaraderie like no one else. Some of my favorite parts of this book are when the team is together. Finally, she is definitely one of my favorite authors ever! I love everything about this story! The pops of humor here and there, the team, Piper, Colton’s family, especially his sweet little daughter, the plot - everything! My favorite part of the story though is Colton. He is such a great character. He’s had some really tough things happen in his life and he struggles with PTSD. There is one point in the story where my heart literally just aches for him! I might have even shed a tear or two. I love how he relies on and keeps asking God for help. He has a very alpha male side to him, but he also has a wonderful soft side. The way he “courted” Piper, and the way he is with his daughter, will melt your heart! I have to admit, I was not super happy with Piper at one point in the story, but she quite nicely redeemed herself! Obviously, I highly recommend this story! *I purchased this book and was under no obligation to review it. Colton Neeley left the Marines to take care of his four-year old daughter. Although he’s firm in his faith now, the repercussions of his former life are still evident—namely debilitating flashbacks from combat-related trauma. But his position with the Nightshade team give him a new lease on life. 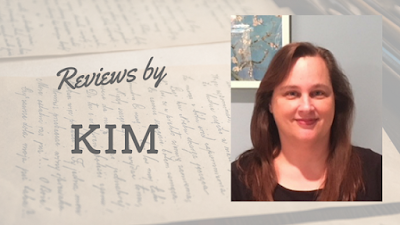 Piper Blum is hiding—from life and the assassins bent on destroying her family. Although smitten by Colton, she fears the day he discovers her secrets. Because those secrets could very well put his life and family in danger, too. And no relationship has a chance when it’s built on lies. Colton must find a way to forgive Piper’s lies, even when her justifications catapult the team into another near-death mission. They’ll find out the hard way if love covers a multitude of sins. Did y’all hear that? That was me releasing the breath I held almost the entire time I read Wolfsbane. WOW! Ronie Kendig, I love you, but you can put your characters in some horrible situations! Right when you start thinking they are safe and that everything’s going to work out - BAM! No! Something happens to, once again, make your heart start racing. I LOVE this book, no, this series! It is awesome! As I’ve said before, Ronie Kendig writes the BEST male characters. Right now, the Discarded Heroes are all fighting TOX for the best male character ever! (Don’t worry TOX. You’re still safe) She pens the best camaraderie, great plot twists, and just an all around incredible story. Both Canyon and Danielle have gone through some really horrible things. You feel empathy for them from the get go. They are such great characters, in part, because they are so real. I will admit at one point in the book, I got a bit concerned, but I should have just trusted Ronie, because in the end, she always makes it right. I’m telling you, these books should all be made into movies! Her consistency is amazing. 5 stars for this book is not enough! Next up, Firethorn! BackCover Blurb: A Rapid-Fire Rewrite of the 2012 Christy Award Winner--Expanded & Updated with 100 new pages! Army demolitions expert Danielle Roark narrowly escaped a brutal guerrilla general. Months later, she’s charged with espionage and forced to return to the very jungle where her nightmares began. 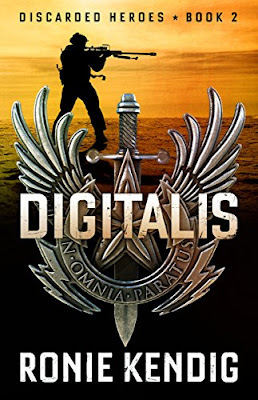 Her only hope rests in the former Special Forces operator who escorts her down and vows they’ll both come back alive. Disgusted with the suits on Capitol Hill, Canyon Metcalfe is still wrestling with memories of a mission gone bad. But taking the role of protector, he’s determined to make this endeavor end in victory. What he isn’t expecting is an ambush, and the spiraling attraction that becomes a deadly distraction. Armed with raw hope and fierce determination, Canyon and Dani become embroiled in a fight for their lives! 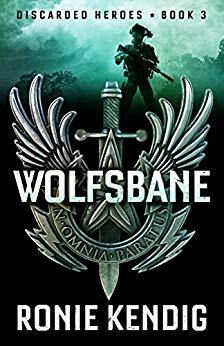 *I purchased Wolfsbane, and was under no obligation to review, nor provide a favorable review.